According to the survey conducted by Watsons Water in Hong Kong in March 2015, more than half of the interviewees had put used plastic bottles into recycle bins in the past six months. However, about 92% of the interviewees were lack of correct knowledge of plastic bottle recycling and about 42% of the interviewees did not know how to separate plastic bottles correctly and about one in ten people thinks that it is not necessary to separate plastic bottles when recycling. 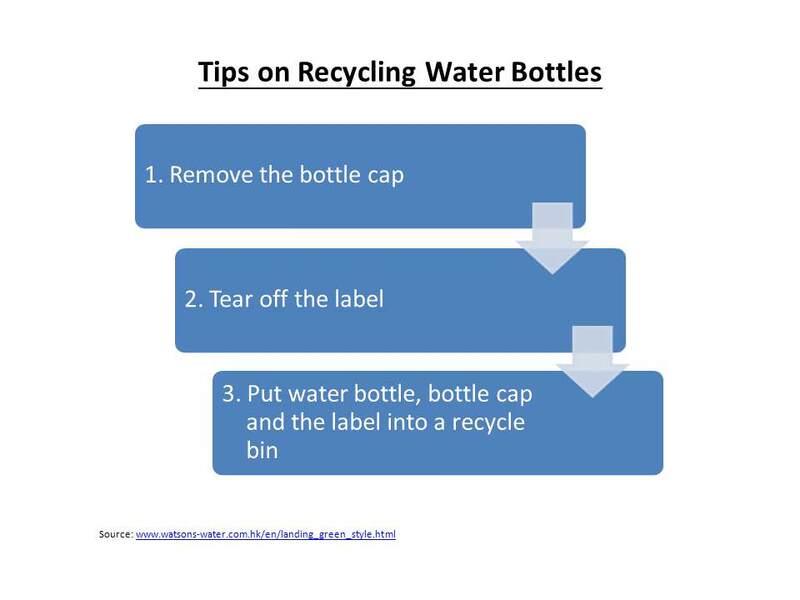 In view of the survey results, Watsons Water has offered tips on recycling water bottles (see below).